Keep it simple. Be real. Good advice from the team at Ewings Seafood. But for this century old Belfast Fishmonger, the story writes itself. I worked with Hamill Bosket to develop a story on-pack and online that focused on craft, love and community. 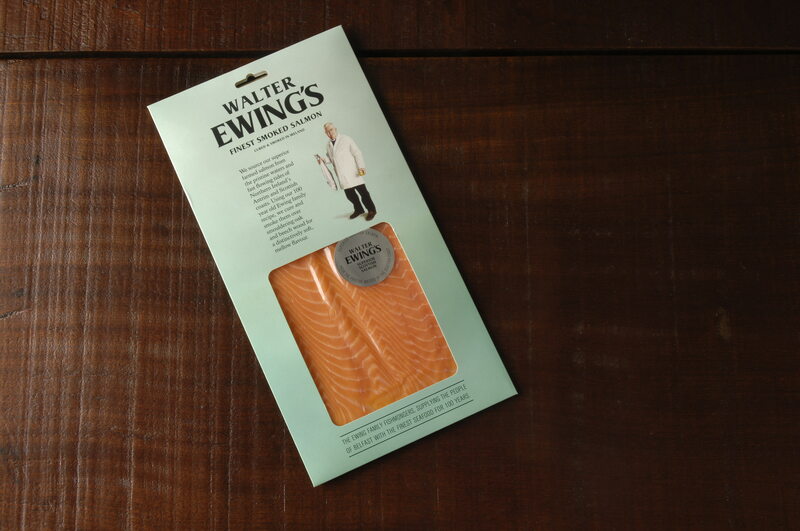 The wonderful portrait of Walter Ewing was created by local artist and writer, Oliver Jeffers.